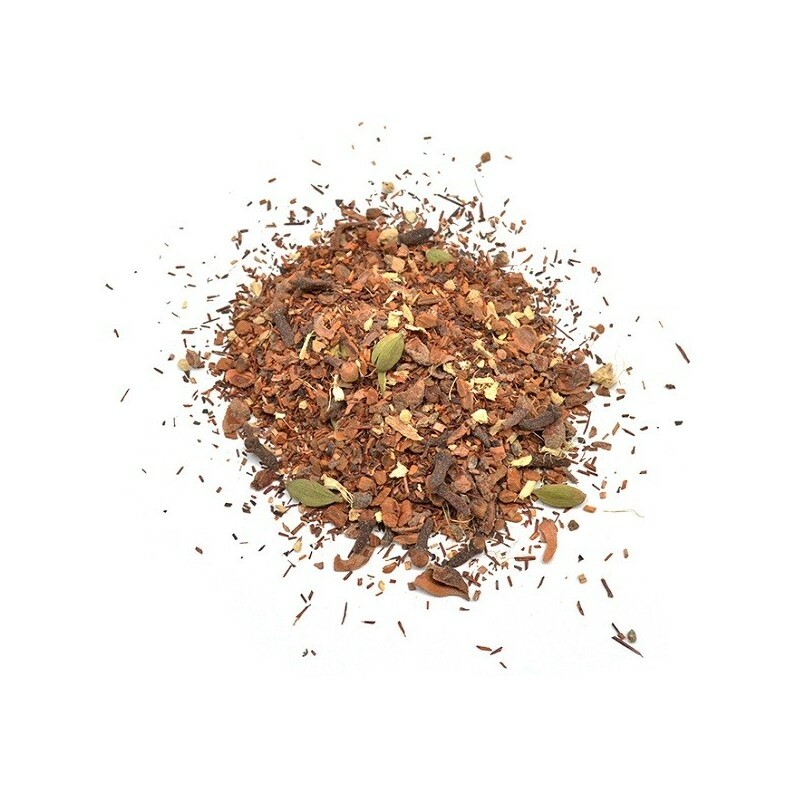 An organic and fair trade loose leaf chai on a base of naturally caffeine free Rooibos tea. 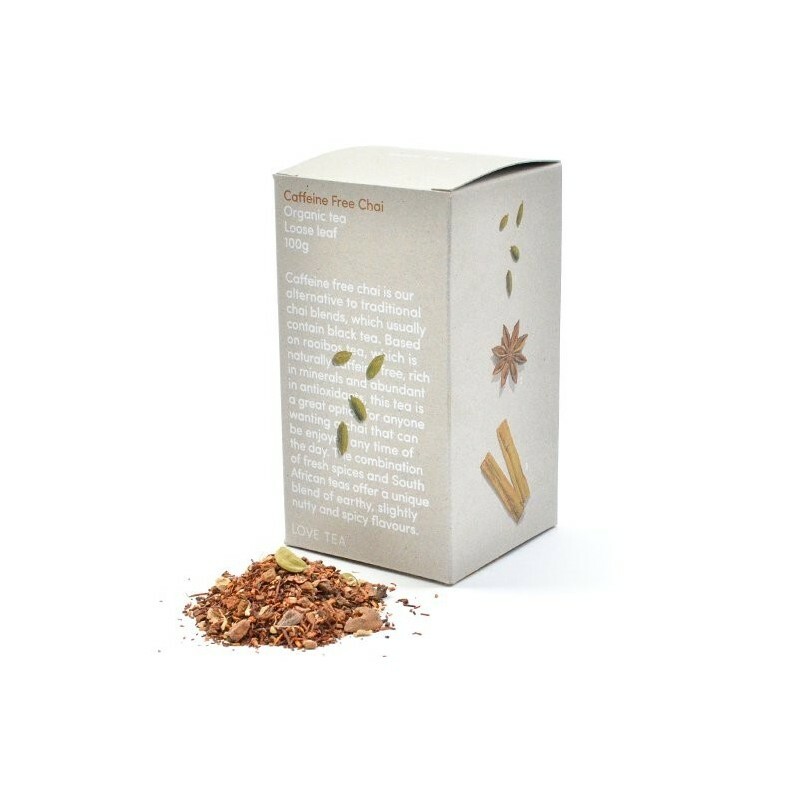 Rich in minerals and abundant in antioxidants, this tea is a great option for anyone wanting a chai that can be enjoyed any time of day. 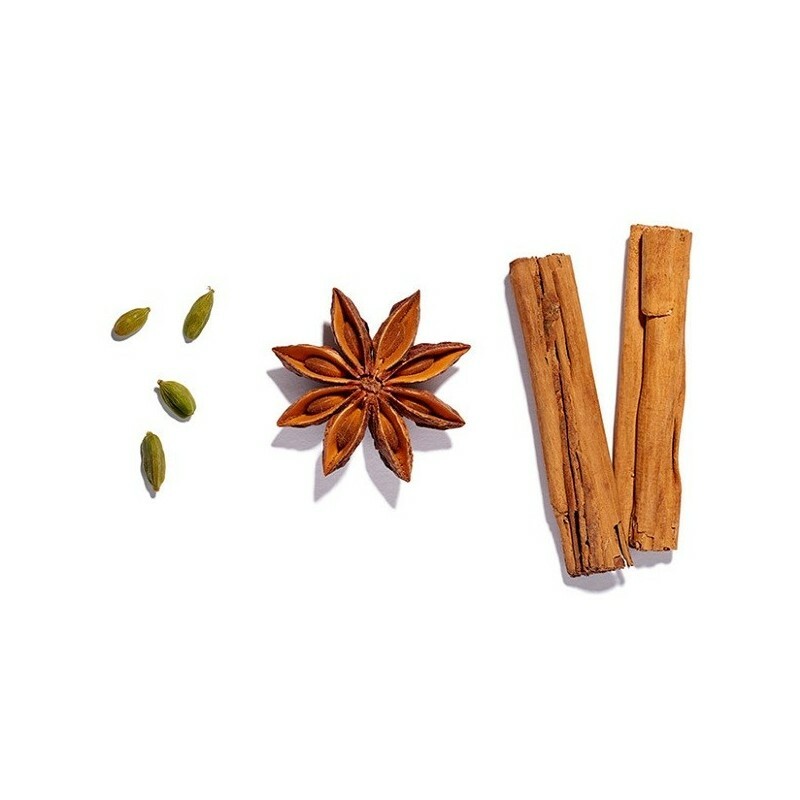 This blend is full of ayurvedic spices traditionally used to support circulation and aid the digestive system. 100g of loose leaf tea. Naturally caffeine free South African Rooibos tea. A unique blend of earthy, slightly nutty and spicy flavours. 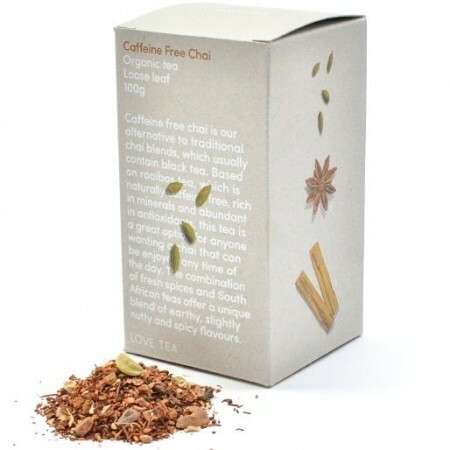 Certified Organic rooibos*, cinnamon*, honeybush, star anise, cloves*, cardamom*, ginger*, black pepper*, white pepper*. *Fair trade ingredients.